Post medieval(?) lead alloy weight, Length: 39 mm, diameter: 18 mm, weight: 74.07 grams. The object is sub rectangular in form and circular in cross section, with a rounded upper surface. It has a rounded projecting collar around its base and its upper surface contains an iron loop. 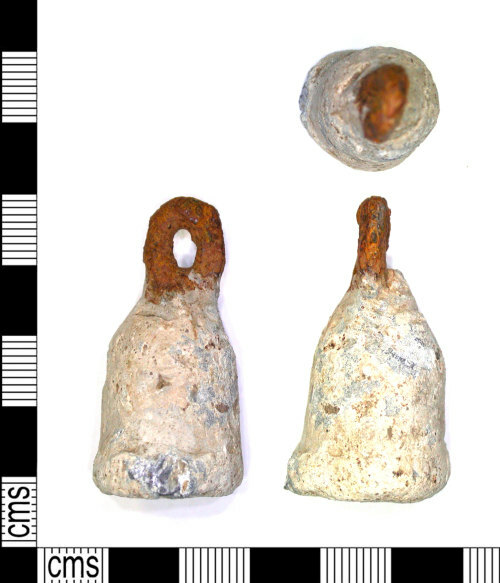 Given the condition it is most likely of Post Medieval date, but may be earlier.